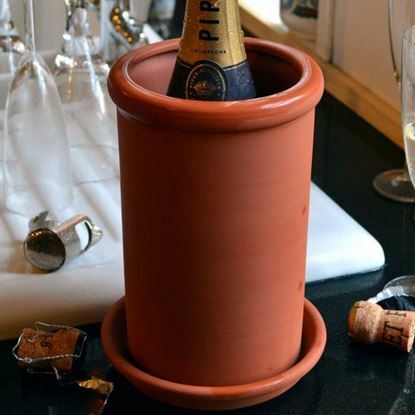 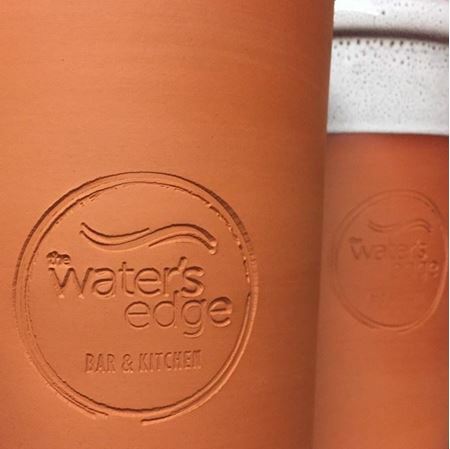 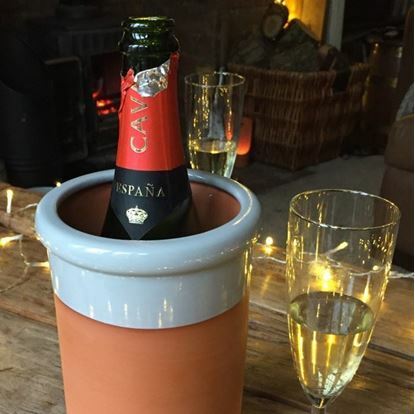 When soaked in water, our terracotta wine coolers really will bring down the temperature of your wine, or help to maintain the temperature of pre-chilled wine. 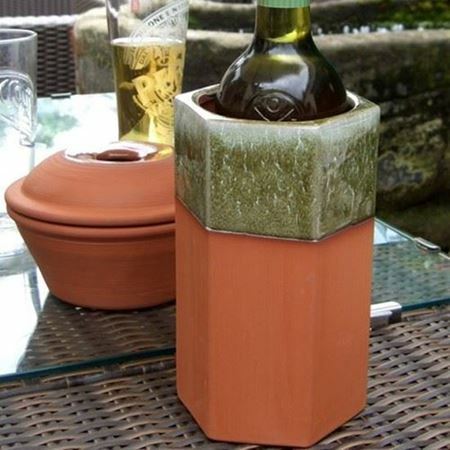 Cooling occurs by natural evaporation through the pores of the terracotta. 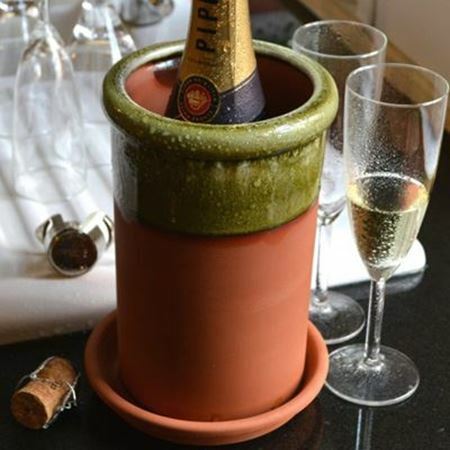 Natural cooling! 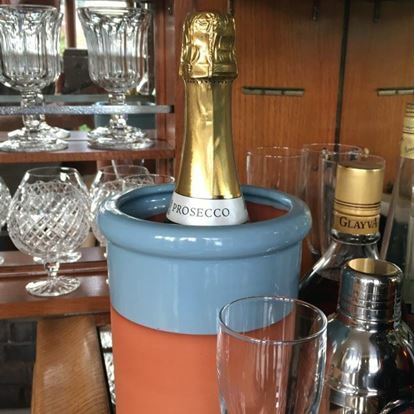 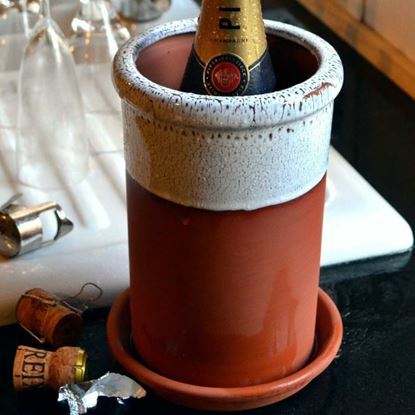 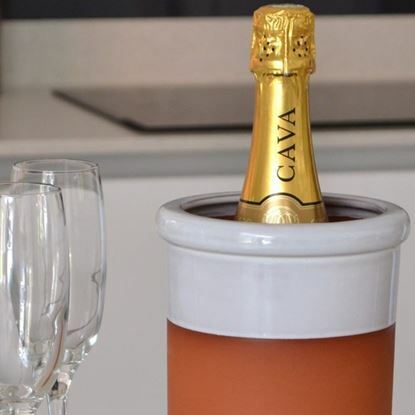 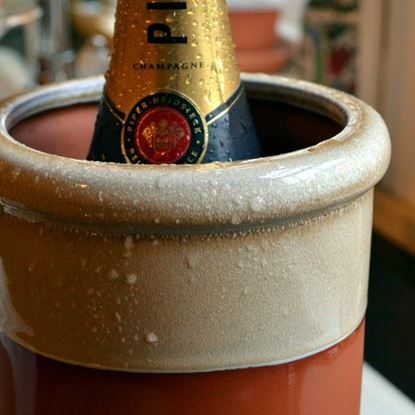 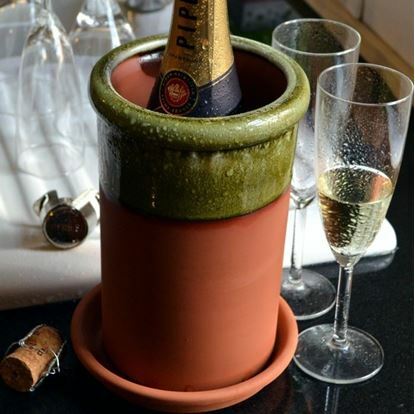 Our wine coolers are available in natural terracotta and rustic glazed apple-green & turquoise finishes - hand dipped in two glazes which melt & react in the kiln creating unique effects. 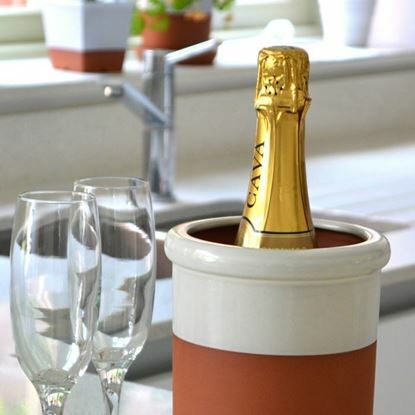 When not in use, don't dare hide away these objects of beauty - our individual wine bottle coolers also make excellent kitchen utensil jars! 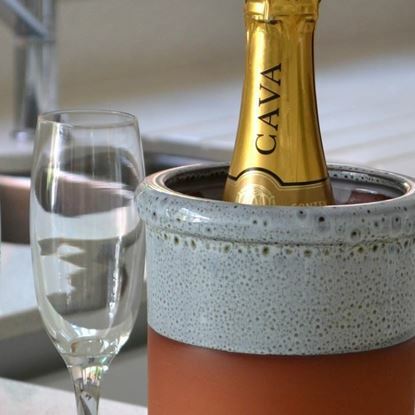 And for that extra practical touch, why not add a matching saucer to catch those precious cooling drips of condensation?